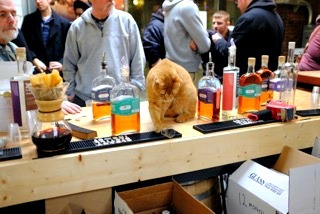 You can tell a lot about a distillery based on its cat. 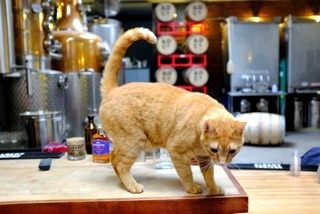 In Albany, NY, at The Albany Distilling Company (ADCo), one of the co-distillers is Cooper, the distillery cat. Cooper has many jobs: security, pest-removal, temperature control, and his main job is guest satisfaction. 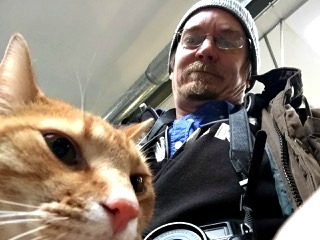 One Saturday morning in mid-January we met this character along with one of his owners, John Curtin, for a tour and tasting of this almost five-year old distillery in our backyard. 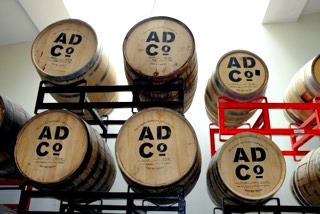 John had just returned from meetings in NYC and it seems like ADCo is moving fast and into quite a few markets. 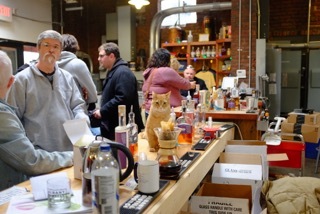 Cooper was happy to see him and the other guests that were there to tour this local distillery. 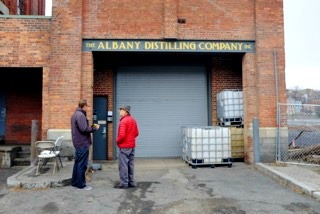 Opened in October of 2012, but incorporated in 2011, The Albany Distilling Company is the oldest distilling company in Albany. 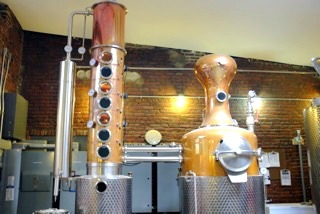 It is a farm distillery. 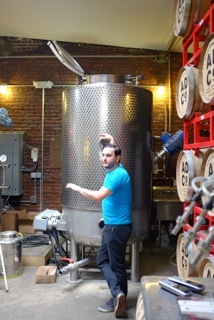 ADCo’s license requires that at least 75% of the ingredients used in its spirits come from New York state. Located close to the banks of the Hudson River, ADCo has been growing and expanding in the last couple of years with locations now in Troy and soon in Schenectady. 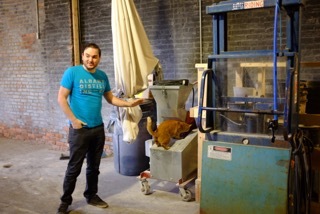 They also recently hired 4 new people in its full first year of distribution. They seem to be running out of space! It was a fun tasting. The visitors were asking questions and were enthused. 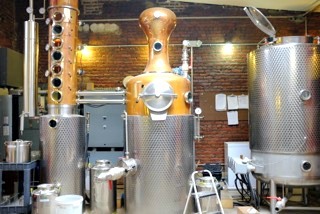 Charles’ Notes: It’s great to see a local distillery doing so well in such a short period of time. They obviously have large ambitions with the Troy and Schenectady plans, but they do have a leg up in the area since they started early. 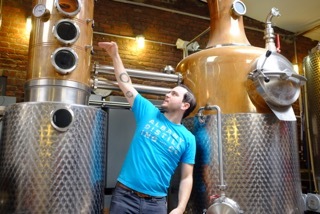 My favorite spirit that was tried was the Malt. It was unusual using the oat and I thought this added character and a taste that was unique. 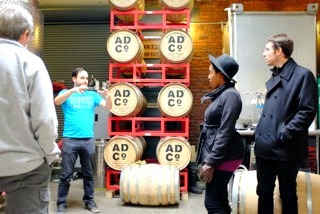 The bourbon and rye need more time to mature but they are on the right path. 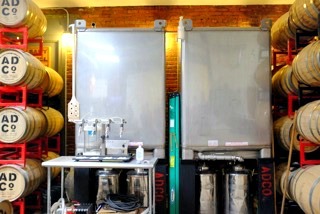 It will be fun to watch both the whiskey and the distillery evolve over the next few years.